Adam Rippon and Mirai Nagasu led USA to a team figure skating medal at the 2018 Winter Olympics. 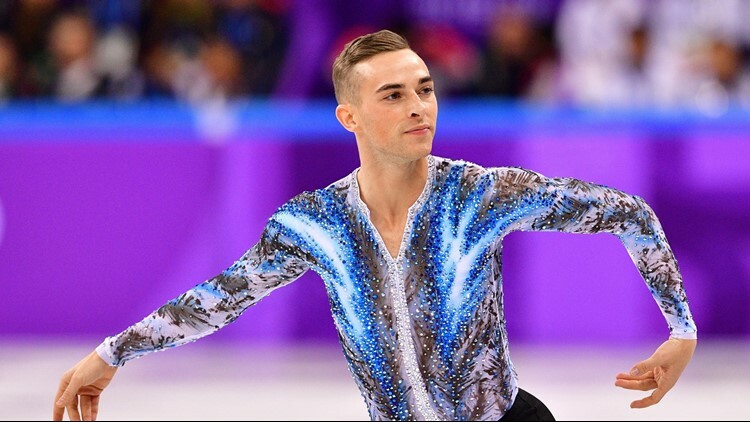 Adam Rippon and Mirai Nagasu, 20-something veterans who have already lived a lifetime or two in figure skating, turned in the performances of their lives Monday morning to lead the United States to the bronze medal in the Olympic figure skating team competition. Rippon, 28, who has found himself in the glare of the spotlight since mid-January when Vice President Pence took surprising exception to Rippon’s critical comments in a Jan. 17 USA TODAY story, turned in an Olympic debut that he’ll remember for a lifetime. He didn’t try a quadruple jump – which was a good thing, even though it hurt him compared with his top competitors – but his program was lyrical and majestic and just what Rippon dreamed of. That he did. It turns out he ended up less than a point out of second place – a truly powerful performance without a quad, stating a strong case for the elegance of his sport without the toughest jump.